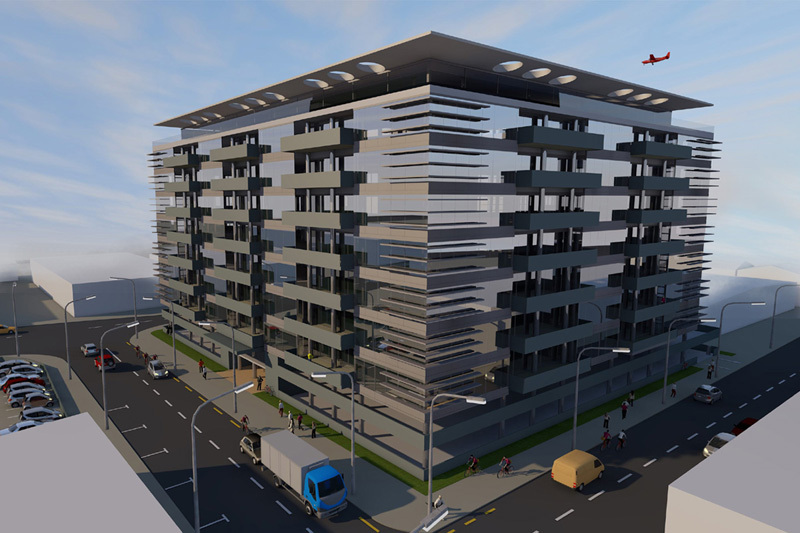 A concept design for a hotel and office development with a total floor area of 29,000 m2. The building footprint is 3,250 m2. 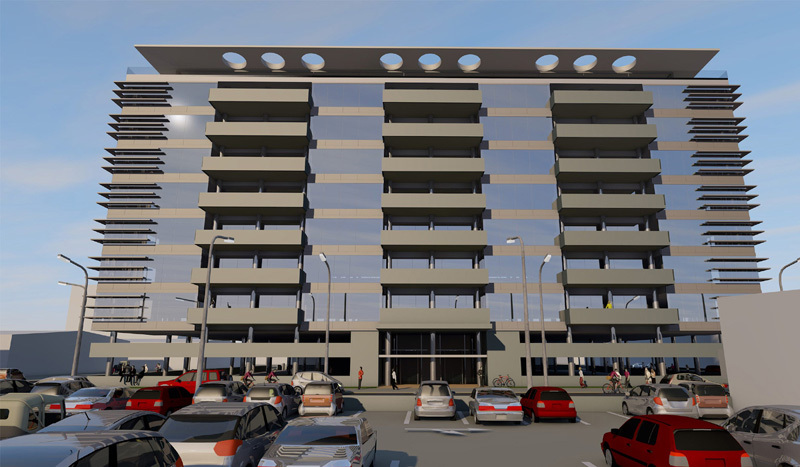 There are 8 floors of commercial office area with exterior decks and 2 floors of car parking with a large central entrance & lift lobby.